Where does Europe end and where does Asia begin? Where does Asia end and where does Europe begin? What influence do the borders have and who draws them? These are the key questions posed by the art project "The Border" spanning many years which the Goethe-Institut will stage in conjunction with numerous partner institutions in 2017/2018. Having toured the cities of Moscow, St. Petersburg, Krasnoyarsk, Kiev, Tbilisi and Minsk the exhibition will now to see in Dortmund. In 2018 it will continue to travel to Yekaterinburg (Russia), Almaty (Kazakhstan) and Tashkent (Uzbekistan). "The Border" explores and reflects upon all manner of borders and their demarcation: as a mark of territorial inclusion or exclusion, as cultural, personal or social dividing lines, as an instrument we use to differentiate and distinguish between "us" and "them" or, indeed, to generate this dichotomy through borders in the first place." Border" should be understood here as a metaphor that is to say as a figure, which is not static, but rather the subject of agreements and change – an extremely current topic for Russia and the former Soviet republics as well as for Germany and Europe in equal measure. Thus, the geographical and cultural border between Europe and Asia is the topical thread running through the exhibition. The project approaches this subject matter from an artistic angle and channels our view beyond purely political or economic concerns to take in a cultural dimension. The aim is to promote a differentiated engagement with the processes involved in, the motivations behind and the causes leading to the drawing of borders. The exhibition focuses upon a younger generation of artists who will be showing their insights into and reflections on the topic for the first time together in a travelling exhibition in Eastern Europe, Russia, Central Asia and Germany. The exhibition is accompanied with local discussion sessions featuring regional speakers and German experts. Participating artists: Umida Ahmedova & Oleg Karpov (Taschkent, Uzbekistan), Alisa Berger (Cologne, Germany), Aytegin Djumailiev (Bischkek, Kyrgyzstan), Natalya Dyu (Almaty, Kazakhstan), Saule Dyussenbina (Almaty, Kazakhstan), Farhad Farzaliyev (Baku, Azerbaijan), Hamlet Hovsepian (Ashnak, Armenia), Katya Isaeva (Moscow, Russia), Olga Jitlina (Saint Petersburg, Russia), Anton Karmanov (Novosibirsk, Russia), Khinkali juice (Sophia Tabatadze and Nadia Tsulukidze, Tbilisi, Georgia), Alina Kopytsa (Kiev, Ukraine), Gaisha Madanova (Almaty, Kazakhstan /Munich, Germany), Taus Makhatcheva (Moscow, Russia), Eleonore de Montesquiou (Berlin, Germany), Stanislaw Mucha (Berlin, Germany), Marat Raiymkulov (Bischkek, Kyrgyzstan), Alla Rumyantseva & Alexey Rumyantsev (Duschanbe, Tajikistan), Sergey Shabohin (Minsk, Belarus), Alexander Ugay (Almaty, Kazakhstan), Viron Erol Vert (Berlin, Germany), Where Dogs Run (Yekaterinburg, Russia), Anastasiia Zhyvkova (Kiev, Ukraine). “The Border” is a Goethe-Institut exhibition shown in Moscow, Saint Petersburg, Krasnoyarsk, Kiev, Tbilisi, Minsk, Dortmund, and Central Asia. 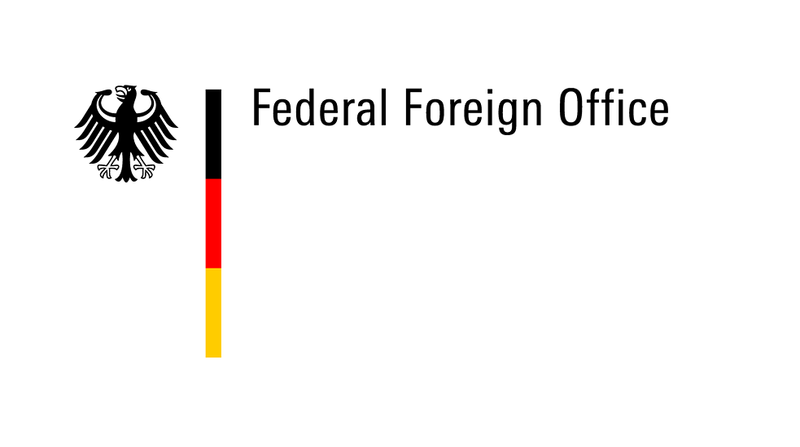 With the friendly support of the Federal Foreign Office of Germany.